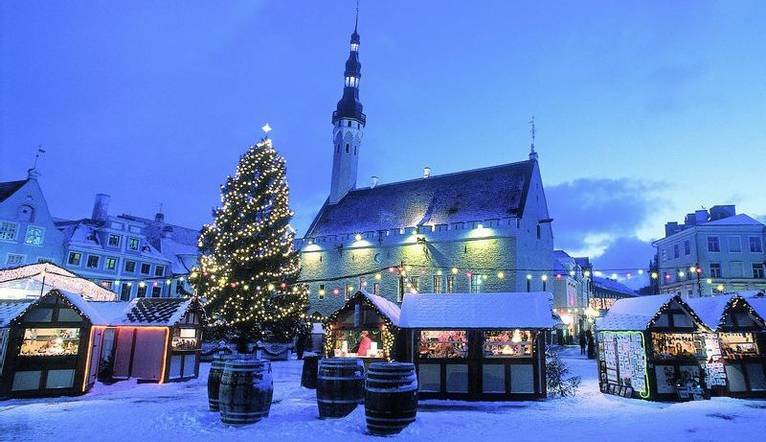 Steeped in history and oozing chocolate-box charm, the turrets, steeples and cobbled medieval streets of Estonia’s capital city are particularly pretty at Christmas time. Join us on a wonderful festive city break that takes in both Tallinn and Helsinki, the neighbouring capital of Finland, for an enchanting Christmas with a difference. 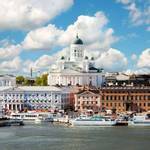 Visit not just Tallinn but Helsinki too! Welcome to Estonia! After arriving at Tallinn Airport, we’ll proceed through immigration and collect our luggage before heading to our hotel in Tallinn for a Solos welcome drink and dinner at a local restaurant. After breakfast we will begin our half-day guided sightseeing tour of Tallinn (walking and bus). After gaining independence in 1991, Estonia opened its doors to tourism and Tallinn has miraculously managed to preserve its thousand-year old beauty. Our tour takes us through the gorgeous Kadriorg Park, Song Festival Grounds and the seaside district of Pirita, before moving on to the UNESCO – listed Tallinn Old Town. 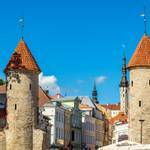 From Toompea and Komandandi Street we cross Toompea Hill, the ancient city centre at the tower of Tall Hermann. From there, we proceed to the Palace of Toompea that houses the Parliament Riigikogu, to Aleksander Nevskij Cathedral and the Dome Church. On our way to the lower town, we can enjoy picture-perfect views over the medieval Old Town from a viewing platform before descending to the lower town. Our tour ends at Town Hall Square, where we will have a Christmas day lunch at a local restaurant. The rest of the day is free for you to explore Tallinn independently. After breakfast, your day is free for you to spend however you wish. Early in the morning we will pack breakfast and transfer to the pier for our day trip to Helsinki. Our ferry takes about 2 hours; your return ferry tickets, a Helsinki Tourist Card and an audio guided tour of this vibrant city are all included. 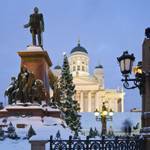 When we arrive, we will see the most interesting parts of Helsinki, such as the historical centre, the Presidential Palace, City Hall, the Parliament buildings, Finlandia Hall and the Opera House. The rest of the day is at our leisure to explore on our own before catching the return ferry back to Tallinn. In the evening, we will gather together for dinner at a local restaurant in Tallinn. After breakfast we’ll have some time to buy souvenirs before transferring to the airport for our return flight home. Our hotel is located only 220 yards away from the medieval Old Town of Tallinn and close to the Balti Jamm Railway station. Reakoja Plats, the heart of the Old Town, is within 600 yards. The Tallinn Bus Station is 2.5 miles away and the airport is 3.1 miles from the hotel. The hotel is 450 yards from Telliskivi Creativity Centre and Kalamaja area. A cash machine is available on site. The hotel's restaurant serves European cuisine, cakes, quick lunches and a buffet breakfast. A glass facade, that hosts the restaurant, overlooks the park and the historic Toompea Hill from the one side and railway platform from the other. Various spa treatments and relaxation procedures are available at the hotel for an extra fee. All rooms of the hotel feature a classic design with wooden furniture. Each has a private bathroom with a shower, TV, hairdryer and free WiFi. The transfer time from Tallinn International Airport to your hotel in Tallinn is approximately 20 minutes, depending on the traffic. A half day visit of Tallinn and a full day individual trip to Helsinki is included in your touring package. Casual daytime wear is recommended. Comfortable shoes are a “must” for sightseeing. Smart casual clothes will be ideal for the evenings - the emphasis throughout being informality. Please note that winters can be cold in Estonia.